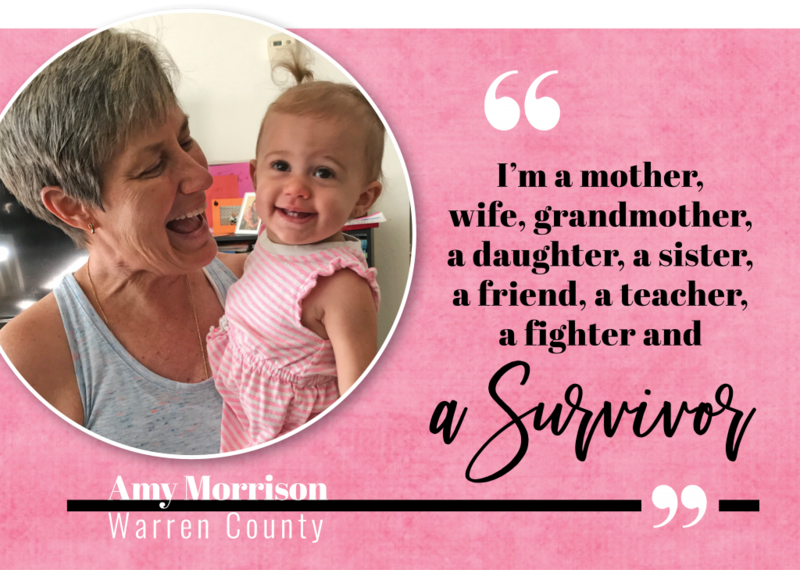 Posted By PA Breast Cancer Coalition on April 24th, 2019 at 9:27 am | 0 comments. 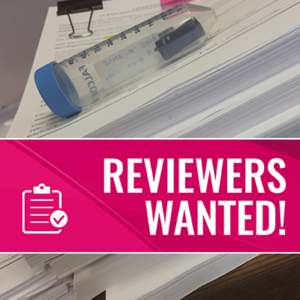 PA Breast Cancer Coalition (PBCC) is in need of individuals to serve this year on our panel as Scientific Research Reviewers and Consumer/Lay Reviewers. 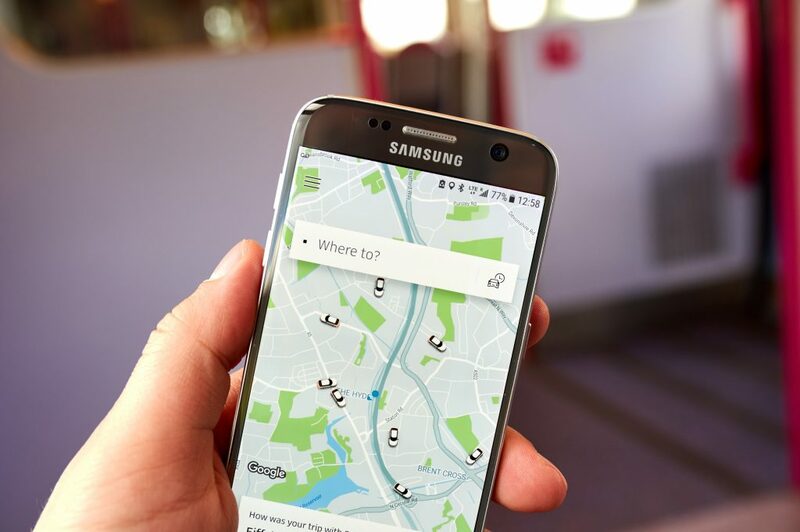 Consumer/Lay Reviewers are required to read the full application and are encouraged to comment on all criteria if you feel you have the knowledge and feel comfortable in doing so. Each assigned reviewer will provide their critique(s) focusing on major, score driving strengths and weaknesses. Once your willingness and availability to serve on the Review Committee is confirmed, you will be emailed a Conflict of Interest (COI) that will need to be completed and emailed back to the PBCC. An email address will be provided to you. You will also receive the Reviewer Manual/Guidelines to review. Please read and become familiar with the material since this is the information you will need to begin and complete your review process for the Grant/Proposal Program. Grants/Proposals will be mailed to you around July 6, 2018. Your score sheets with your critiques will need to be returned by August 1, 2018. 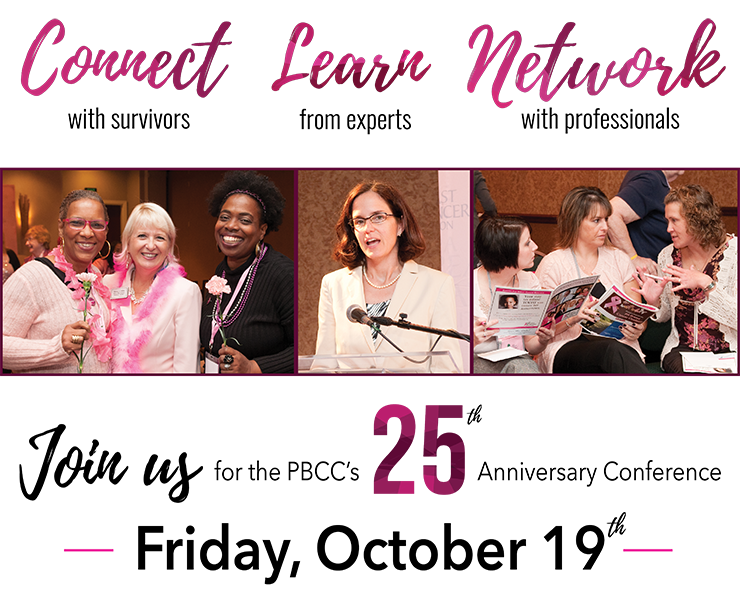 Posted By PA Breast Cancer Coalition on February 11th, 2019 at 4:15 pm | 0 comments. HOW AND WHEN WAS YOUR BREAST CANCER FOUND? 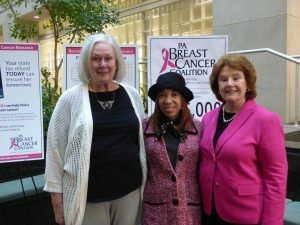 I had my baseline mammogram when I was 28 years old after learning that my great grandmother had breast cancer. At that time, they told me I had dense breasts and the mammogram was cloudy because of my age. In September 2005 at age 44 I went for annual screening mammogram and there was a suspicious area on the film. I had additional views done and an ultrasound guided biopsy, then an MRI stereotactic biopsy. It was concluded that I had a malignant tumor and that I needed a mastectomy. I had chemo prior to the surgery due to the size of the tumor. I’ll never forget the date of my surgery: it was on Good Friday 2006. I had a double mastectomy with reconstruction. WHERE DID YOU FIND YOUR BEST SUPPORT? Most of the support I had was through my church family at the Deliverance Baptist Church in Wilkinsburg, and my sister. My sister actually spent one of her birthdays with me at my chemo treatment. I want to share one very special thing. Right before my surgery the surgeon was running behind. One of the ministers from my church, who is the bishop’s daughter, sat and sang to me until they came to take me to surgery. HOW DID YO U LEARN ABOUT THE PBCC? 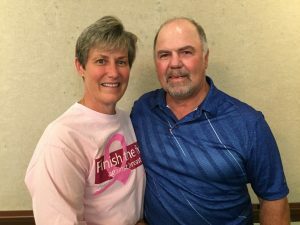 I went to a breast cancer support group at the YWCA in Pittsburgh after my first chemo treatment. The coordinator Yvonne Durham shared lots of information and a gift bag. Two weeks after that meeting I received a PBCC Friends Like Me care package. It was close to Christmas when it arrived and I thought it was a Christmas gift. A little note inside said that Yvonne had requested it for me. I cried going through everything because it made me feel special to think that such a wonderful thing could come because of having this awful disease. YOU’VE BEEN TO THE PBCC CONFERENCE IN OCTOBER. WHAT WAS THAT LIKE FOR YOU? My first two conferences were in 2016 and 2017. This past year I really enjoyed the opening session presentation by Dr. Hudis. He shared so much information and he’s so humble! I love that he’s still working with patients. Without the PBCC, I would not be able to continue learning about breakthroughs with treatment, research, and clinical trials. I share as much of that as I can, and I know that you’re doing it all in an effort to save lives. I’m truly thankful for the PBCC. You’re a sounding board and lasting voice for me and for other survivors. IS THERE SOMETHING YOU WANT OTHER WOMEN TO REMEMBER? Be aware of any changes in your breasts and don’t be afraid to voice them to your doctor. 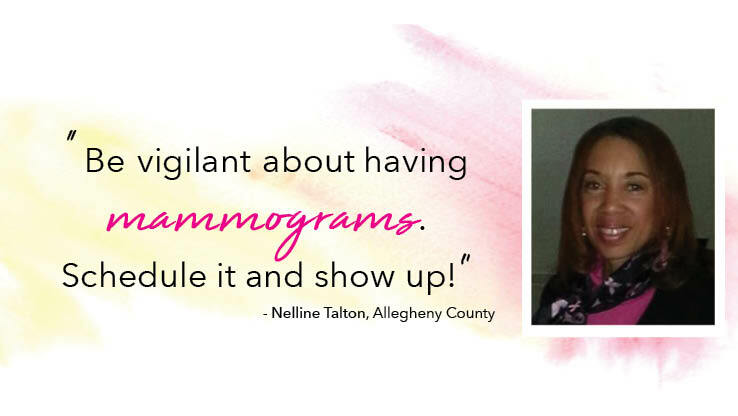 Be vigilant about having mammograms. Schedule it and show up!